The word “disruptive” has come to signify the kind of transformative change that uproots existing norms and forges a path of its own by rewriting the rule book, relegating complacent titans of industry to the annals of history. It’s the kind of trailblazing that is majestic in nature and game-changing in practice. However, organizations that are built upon such innovations are also highly susceptible to becoming like the ones they replaced as accelerated growth and unbridled expansion come into focus, especially, after the “aura” of being a startup disappears. 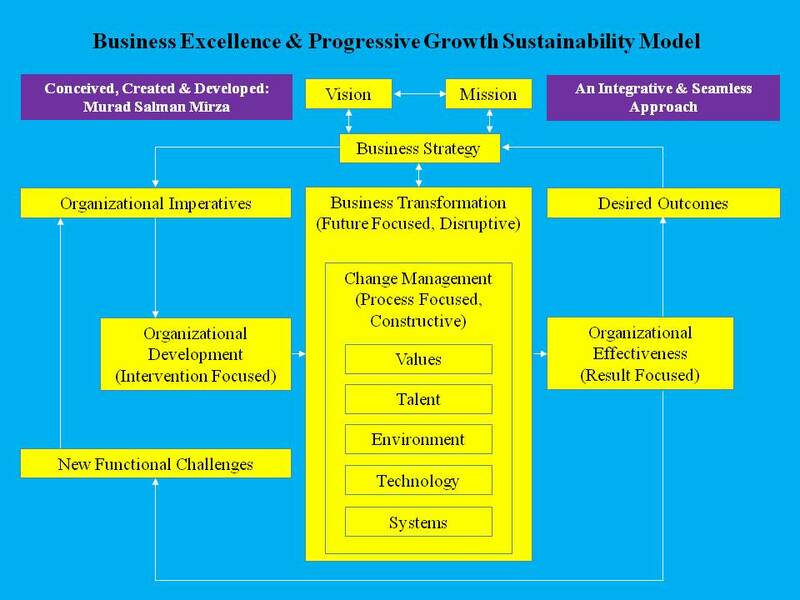 Consequently, it is imperative that the strategic focus of progressive organizations be in congruence with the demands of the digital age to remain relevant and competitive while maintaining an effective buffer against disruptive influences and competitors. The following model is presented in this context. This model highlights the five strategic imperatives for organizations to stay relevant and competitive in the digital age. It is designed in the form of a self-reflection that creates a framework for an honest appraisal of an organization’s strengths and weaknesses in order to further strengthen the positive traits and to enable timely corrective or preventive actions for overcoming any shortcomings. Let’s discuss each of the five strategic imperatives with their constituent elements. The humanistic aspect focuses on all areas pertaining to the management of human talent that create a win-win situation for both the employee and the employer during the employment relationship. It calls for cognizance of the fact that employee voices are being increasingly muffled by the euphoria induced by the increasing encroachment of seemingly user-friendly technology in the workplace. This is especially so with AI-enabled technology that is serving as a relationship buffer for a senior management, which, enamored with an obsessive focus on efficiency, marginalizes the humanistic concerns. Consequently, the shortness of careers in a digital economy is significantly changing the psychological contract between employee and employer, shifting from being based on faith to being watchfully propped up on trust. Short-sighted organizations often implement talent management practices that are designed to reduce the risk of talent flight instead of risk mitigation that caters to talent engagement. However, gone are the days when professionals depended upon the paternalistic instincts of their employers to provide them with a viable career path. The capable professional of today is more informed, skilled and comes with a store of knowledge that enables them to capably negotiate to achieve maximum gains. 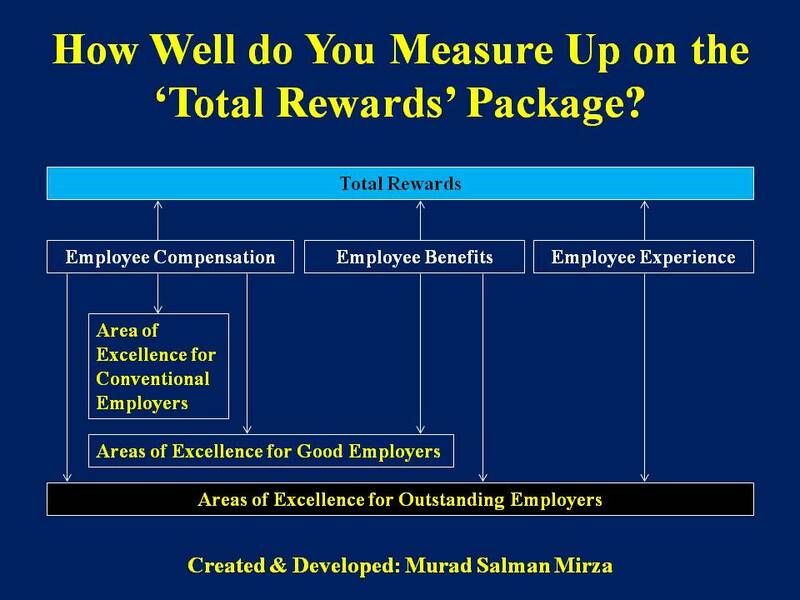 Is there substantial value in being an employee of our organization? The Functional aspect focuses on all areas pertaining to the effective integration, harmonization and channelization of activities and initiatives. It elevates the notion of nimbleness to a core competitive advantage and points to the significance of being able to pivot as needed with respect to the demands of the digital age. This is crucial in terms of safeguarding against disruptive forces such as astute competitors, breakthrough technologies, transforming eco-systems, dynamic customer or client bases, uncertain political environment, multi-generational workforces and so forth. However, care has to be taken to not be lured into excessive experimentation associated with fad-surfing or becoming highly vulnerable to the pitfalls of accelerated growth and unbridled expansion without a supportive organizational structure. 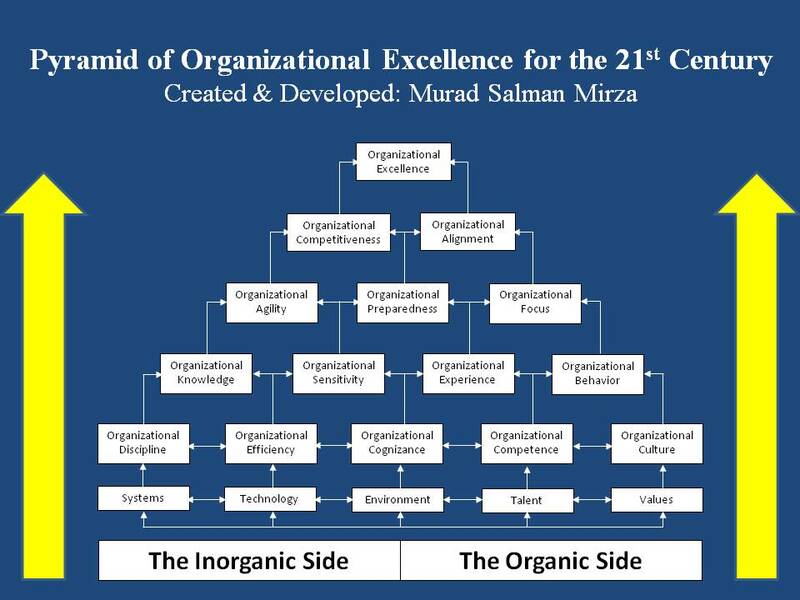 Most leaders struggle to find an optimum balance between the organic and inorganic sides. The inevitable presence of controllable and uncontrollable factors often cause leaders to lean more towards one than the other as they try to stamp their mark on the organization. Such an imbalance creates serious issues for the long-term success of the organization, especially, considering that one of the key reasons organizational restructuring often fails is that it is primarily focused on tinkering with the organizational hierarchy, rather than, significantly improving the thought hierarchy. Are we configured in the best possible way to deliver desired results? The Architectural aspect focuses on all areas pertaining to a physical work environment that is conducive to the health and wellbeing of the workforce. Proactively assuring and ensuring a positive physical environment is a significant part of the overall equation for corporate success, especially, in terms of managing stress levels, reducing fatigue factors and inculcating measures for a lively and invigorating workplace. What are you trying to achieve with workplace design now that earlier initiatives could not accomplish? How is your organization meeting the associated challenges? How is employee voice being incorporated in the respective context? Are there any areas where customer/client needs and employee desires clash? If so, how have you resolved them? What are some of the key direct and indirect metrics that reflect the impact of workplace design in your organization? Do you benchmark in the respective context? If so, how has it helped you? How does the gig economy (freelancing) fit with such initiatives? What role do you foresee artificial intelligence playing in the respective context for the future? Have you used innovative workplace design as a recruitment tool, too? If so, is it attracting the desired talent? How do you intend to inculcate lessons learned from such experiences in future endeavors? These questions can compel progressive leaders to not only focus on the areas of acceptable priority, but also on the contentious marginalized areas, such as overcoming engagement challenges through the astute use of office space, elevating productivity levels by effectively catering to ergonomic considerations, boosting diversity and inclusion initiatives through design innovation, excelling in meeting customer/client needs and expectations by a WOW factor, adopting environmentally-friendly practices that lead to efficient utilization of available resources, using human-centric lighting to enhance focus and comfort levels, etc. 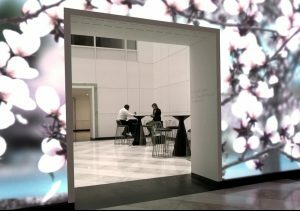 Have we created a welcoming and healthy place for work? The model also provides a strong basis for taking calculated risks, rather than capitulating to the addiction of risk aversion that is the current norm. Rather than learning from missteps and consolidating gains on a long-term basis, many leaders prefer measuring corporate success in terms of avoiding failure due to the pressure to produce positive quarterly or short-term results from impatient and activist shareholders. Additionally, in rushing to embrace the alluring promise of AI-enabled technology, organizations often fall into the trap of providing incomplete or immature service models to customers more than willing to expose their shortcomings in online forums and social media. For example, courier companies are generally highly proficient and competitive in product delivery and many are actively working on normalizing drone delivery. However, they lag significantly in upholding standards with respect to product return, product replacement, and product recall. Furthermore, concerns for environmental and social imbalances have made new demands on competitive organizations to proactively engage in remedial measures before irreparable harm is done to increasingly fragile reputations. The term “activist” has shifted to include the engaged stakeholder. Therefore, organizations with an eye on the future are well-advised to heed the adage that “someone is always watching” and proactively consider the consequences of their actions in a more accommodating and responsible manner. Saying “No” in an era of prosperity — This pertains to going beyond the allure of short-term gains in favor of progressive measures that secure long-term sustainability. Saying “Yes” in an era of uncertainty — This pertains to taking calculated risks for initiating progressive measures against the conventional wisdom of playing it safe. Are our strategies aligned with our capabilities to achieve desired results responsibly and sustainably? The Technology aspect focuses on all areas pertaining to involvement of non-human talent in enhancing functional capabilities of an organization. 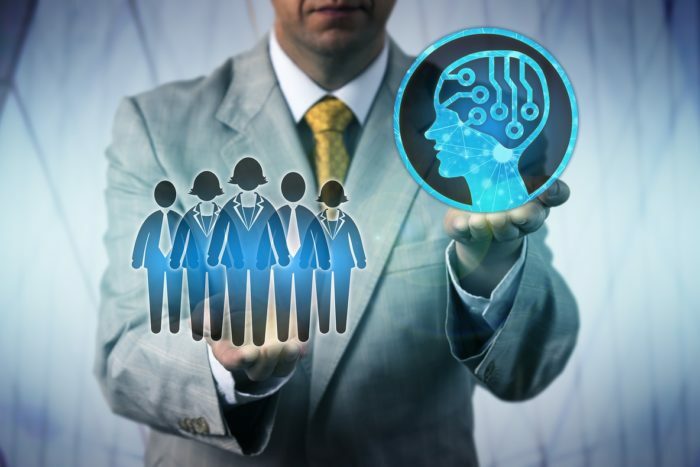 Currently, the preferred approach is to find the means to complement the bulk of the human workforce; the future seems to be gravitating towards minimal human involvement as AI-enabled entities achieve primacy in the workplace. Today’s multigenerational workforce is looking at existential challenges that are more pronounced and transformative than for earlier professionals: narrowing occupational paths, re-skilling imperatives, multiple careers, early retirements, forced entrepreneurships, etc. This is especially so as AI-enabled technology increasingly conquers traditional human domains within the workplace and relentlessly pushes the threshold for staying relevant ever higher. This is also testing the robustness of core values that form the basis of a cohesive corporate culture as employees get more and more apprehensive about the strength and validity of the psychological contracts with their employers. Benefits from having a generationally-diverse workforce can be comprehensively realized by astutely creating, prudently deploying and effectively assuring an optimal balance between “Crystallized Intelligence” (prevalent in older members) and “Fluid Intelligence” (prevalent in younger members). Anyone marginalizing older workers or prepping them for early retirement under the guise of restructuring initiatives forsakes a golden opportunity to utilize the full capacity of available talent. 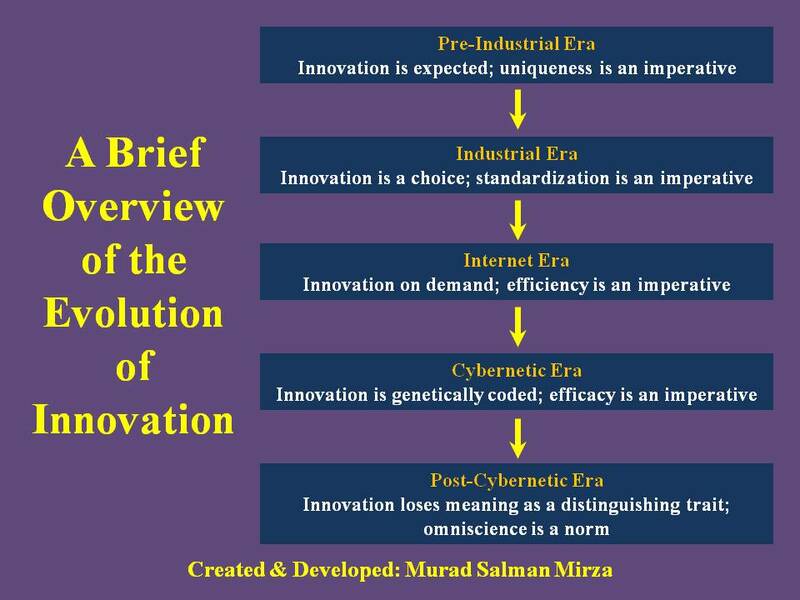 Consequently, it is wise to avoid sacrificing effectiveness at the altar of efficiency by succumbing to the lure of user-friendly technology at the cost of marginalizing human ingenuity in devising innovative solutions to overcome present and future organizational challenges. Organizations that provide the strongest anchors for their employees will be the ones with a healthy pool of talent in the future. Is technology a substantial competitive advantage for us without compromising our core values? A key aspect of strategic review within progressive organizations should be determining whether there is an inherent inclination for the need to change or the want to change approach to stay relevant in the digital world. The first reflects a reactive approach and is a clear signal for course correction before being marginalized by more astute competitors. The second one indicates a proactive approach that signifies a hearty embrace of timely innovative practices for assuring an organization’s competitive future. How was your last review? Are you alarmed, hopeful or confident? Your future awaits.